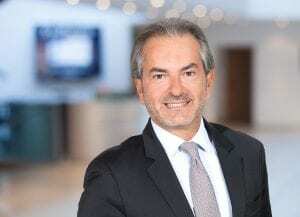 Eric Duffaut is the Chief Customer Officer of Software AG and a member of the management board. He joined the company in October 2014, after 9 years at SAP and 15 years at Oracle. Q: Tell me more about Software AG and what it offers its customers. Eric Duffaut (ED): We are a German company, and we are roughly 45 years old. Our background comes from the mainframe area. When I joined this company I thought this business was on the deep decline. The interesting thing is if you look at 2016, for instance, this business is just slightly declining, just 4 percent down compared to the year before. A lot of companies are still relying heavily on this technology, such as banks. In the last 10 years, Software AG has acquired many technologies in the middleware area, both in terms of what we call business and IT Transformation as well as Big Data, Data Analytics, etc, and of course, everything that has to do with integration. That was really the complete intellectual renewal of the company. We took all these elements and built and launched what was the first independent end to end digital business platform, enabling customers to bring their business logic on top of the platform. This enabled them to build use cases to digitalise the company. This is what we do overall. The digital business platform is clearly our growth driver. The business logic comes from the customer and we help them to innovate and differentiate. Q: There is a lot of technology convergence at the moment. How do you see these technologies coming together over the coming years? ED: We see a trend that is accelerating. To relate to my own personal background. In the early 90s, most customers were building custom software and platform software, with Oracle as a database, for instance. When SAP came to the market they did things a little differently and took much of the work on developing software so their customers could focus on their business while SAP provided them with a package application that could help them automate the back office system. Since then, customers have spent much time and money doing exactly that, automating backend systems with SAP, Oracle, or other software. It is not new to think about a nexus of forces and new breakthrough technology. Trends such as cloud, mobile, big data and social are all growth trends. The technologies that are available today can enable customers to build and not only to automate the processes of yesterday. Like what SAP can do. To automate the same back office or front office. Think Salesforce. The trend is to differentiate and to innovate. Software is becoming a business in many industries. In banking, for instance, the group CIO of a large bank told me once that they are a software/technology company. Companies, such as GE and Bosch are hiring a lot of developers. They are bringing innovation back into their company. They are leveraging software as the key to innovation. This is clearly the trend that we are seeing today in the market. Digital processes getting closer to the customer. This is clearly a trend if we look into retail or banking, for instance. Blockchain Technology is just an element of it. The Internet of Things (IoT) is just an element of it. I believe that is the real trend today. What is the real difference between what some call digitisation and digitalisation? Digitisation is about automating something that already exists. SAP helps you digitise your supply chain or the ERP system, for instance. On the other hand, digitalisation is about inventing a new business model that is digitally enabled. I believe what Software AG does is very much around helping and enabling our customers to digitalise. Another trend in many industries I believe is customer centricity. Why? Because the customer of today is always connected. They travel everything with their mobile device. Customers are more empowered than ever before. When we see what digital natives have done, many of which are behind services such as Uber, Airbnb, etc. They hijacked the relationship between the customer and the asset vendor, such as hotels, cars, and so on, by providing tiered services to the customer. Industries will need to transform and change with the times or they also risk being hijacked and disrupted. Those are the trends we see, being closer to the customer. 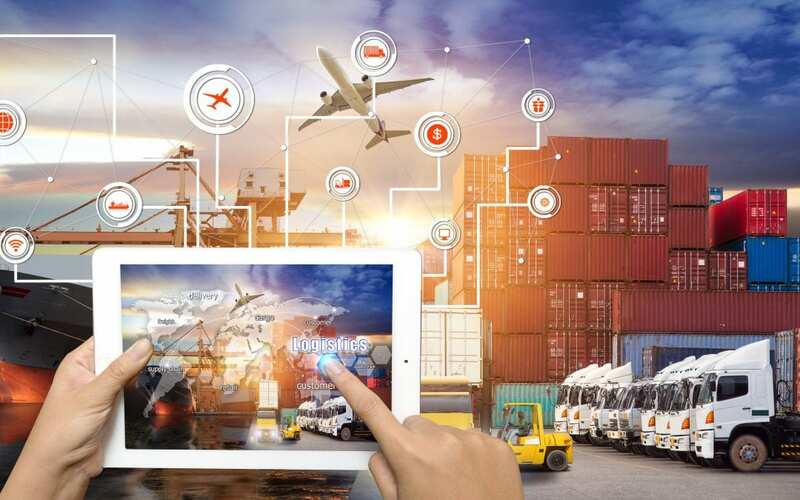 There is a big trend around IoT, merging the digital and the physical worlds in order to optimise everything from the supply chain to creating new services for consumers and customers. In the case of manufacturing the clear driver is Industry 4.0. Q: What are some of the key challenges faced by enterprises, particularly around business transformation? ED: I think it is primarily a leadership challenge. I read a statistic that 82 percent of CIOs consider digitalisation to be critical. Whilst 60 percent of CEOs according to one study consider digitalisation to be their number one priority in their strategy. However, only a fraction of them knows how to do it. I believe there is still some confusion or challenges in their mind about what digitalisation means. As I said, I believe one of the challenges is a leadership challenge. In the sense that companies and leaders need to understand to not only be competitive but to survive they will have to take their own future into their hands by becoming a software company. This is something Software AG can help them with. We are very much on an educational and evangelisation journal in regards to digitalisation. The second challenge is where and how to start and where to go once you do start. Some companies are starting step by step. If you want to be a digital company you have to be a connected enterprise, both internally and externally. We live in an API economy. The third challenge that we find is that when you look at the current IT architecture that many of these companies use it is ‘made of everything’. It is hindering the ability for them to dramatically transform their business models and their business processes. It is important to define this 2B architecture that will enable true digitalisation.